We've had a broody hen sitting on a clutch of five eggs for a few weeks now. I had thought that today would be the day they'd be due to hatch, if they were going to. I was not at all convinced that they would, so was quite surprised to find this little ball of fluff on the barn floor this afternoon. 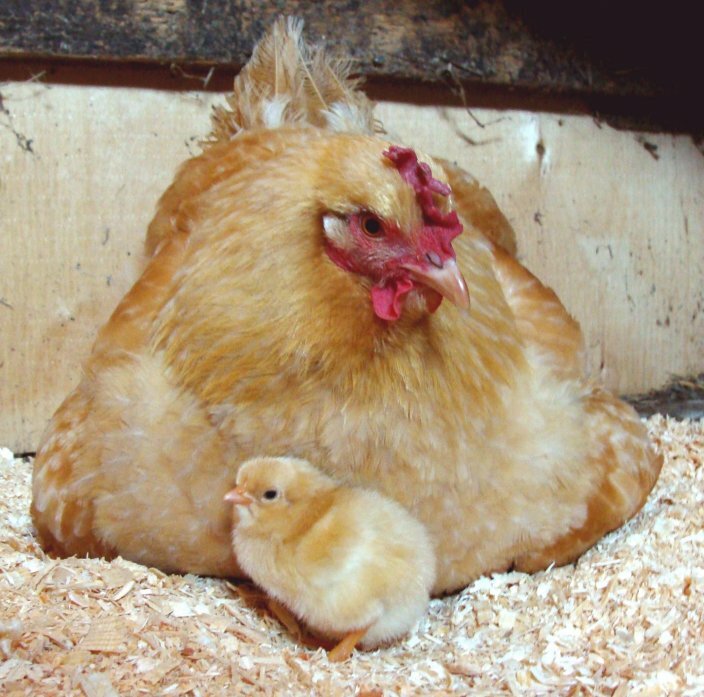 The broody hen was fluffed up next to it on the floor and very soon I saw that there was another chick underneath her wing. 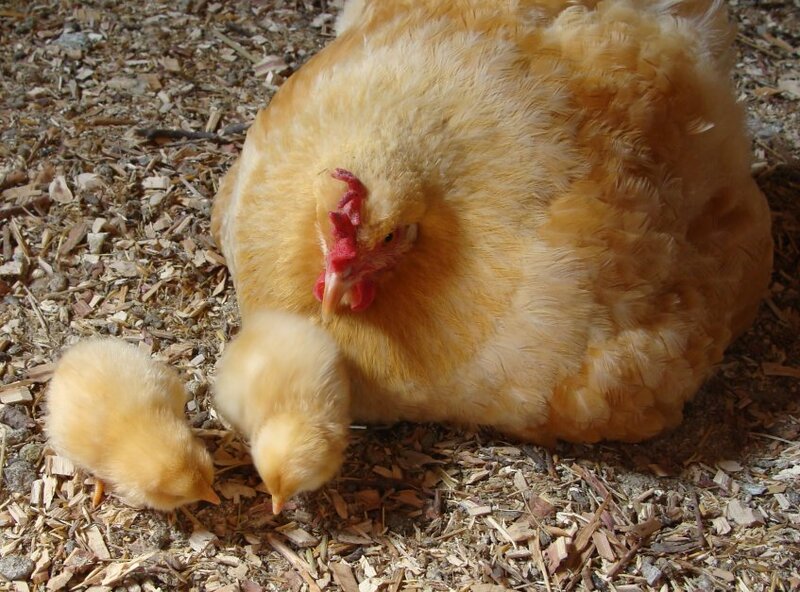 They'd both fallen out of the nest box on to the floor and lived to tell the tale. The other hens were not as pleased to see the new arrivals as I was, so I've moved the broody and chicks into the new chick pen (which we only finished yesterday - phew!) with the remaining three eggs, some chick food and water. I can see I'm going to be juggling chicks for the next few weeks! 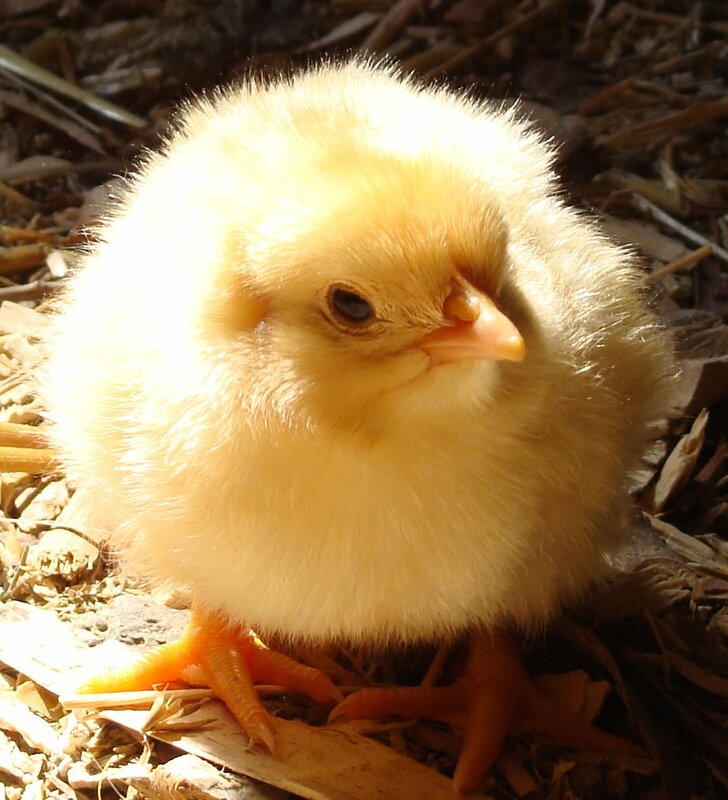 I had to buy day-old chicks this year, but hope to have the "old-fashioned" kind again next year. Hi Quinn - it really is very different, isn't it? I love watching her fuss over them.